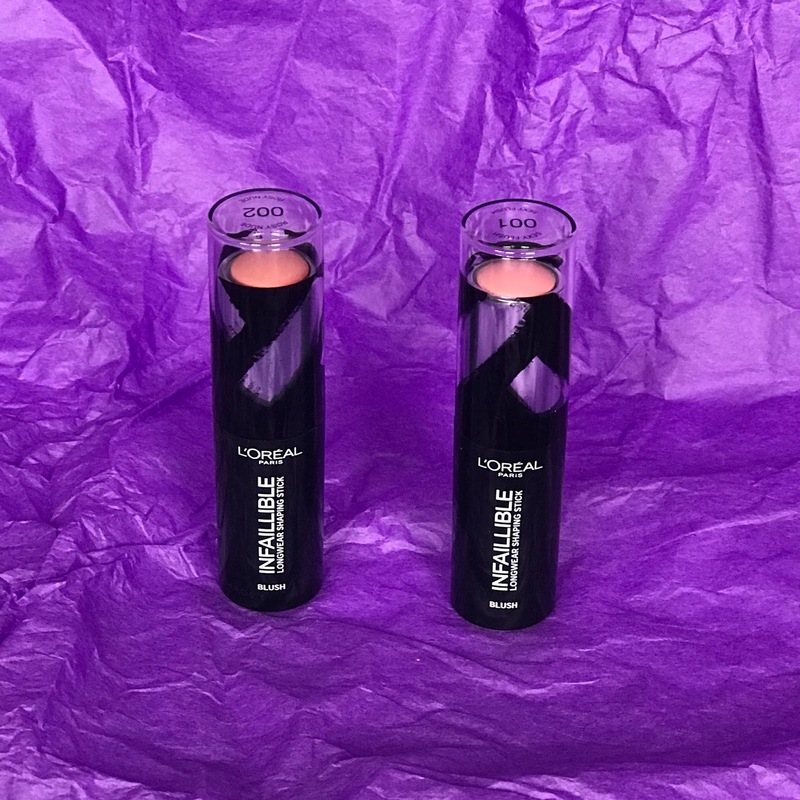 Last week I attended the fantastic launch for the new Infallible range of primers, foundation, blush and highlighter sticks from Loreal Paris makeup. It was held at Beat London and I had a such a fantastic time meeting other bloggers and getting a first look at the products. I was so excited that this launch had a focus on the skin base as I am all about that flawless skin. 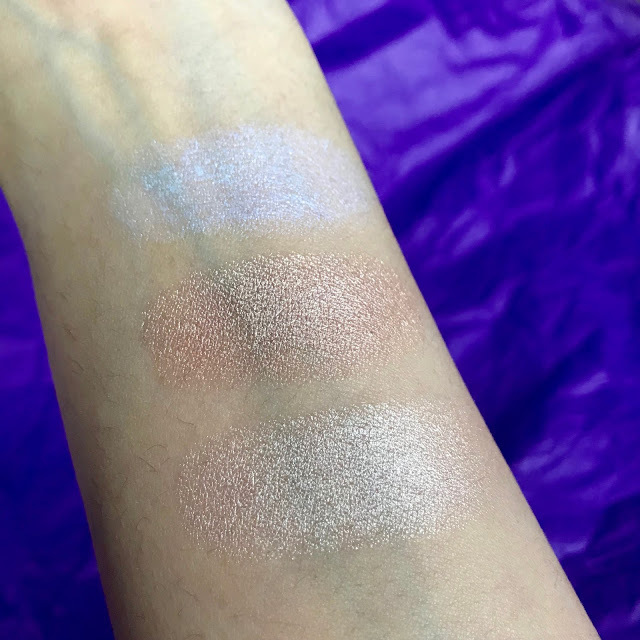 I have been trying them out over the past week so thought I would give you my initial thoughts and some swatches! The first step in the newly released items is 'Shot it!'. This is a range of primers which have been formulated for all skin types. From left to right you have a bright green primer to neutralise any redness. 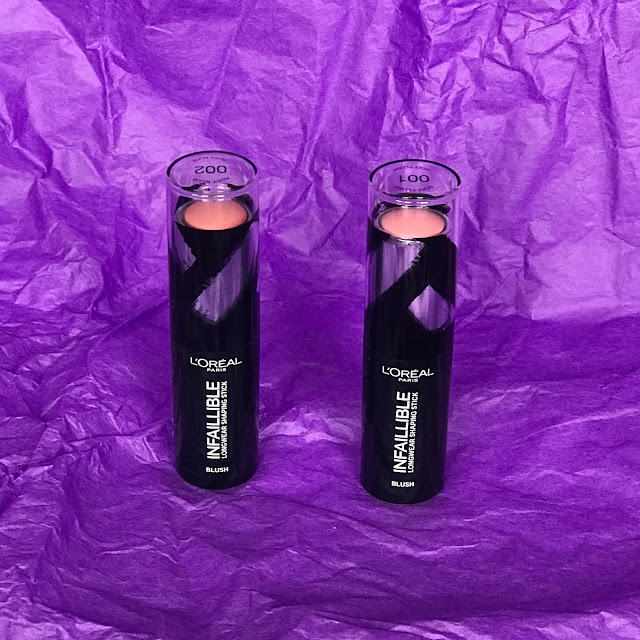 A matte primer, which is suitable for oily skin types. 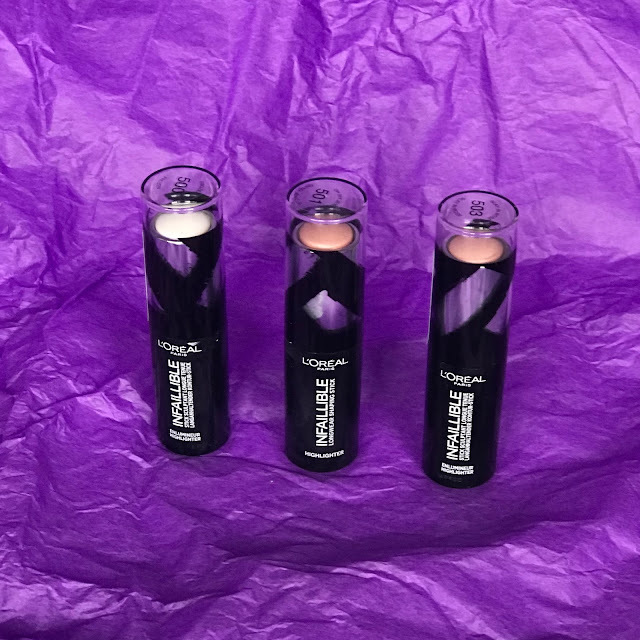 The iridescent packaging gives the luminising primer away - It gives your skin the most beautiful glow without making you look too shiny. Then we have the Anti fatigue primer which is apricot in colour and is perfect for correcting dull looking skin. Lastly we have the pore refining primer which smooths out any lumps and bumps and hides those pores perfectly. The idea with these is that you can use one or multi prime for different areas depending on the need, it's up to you. 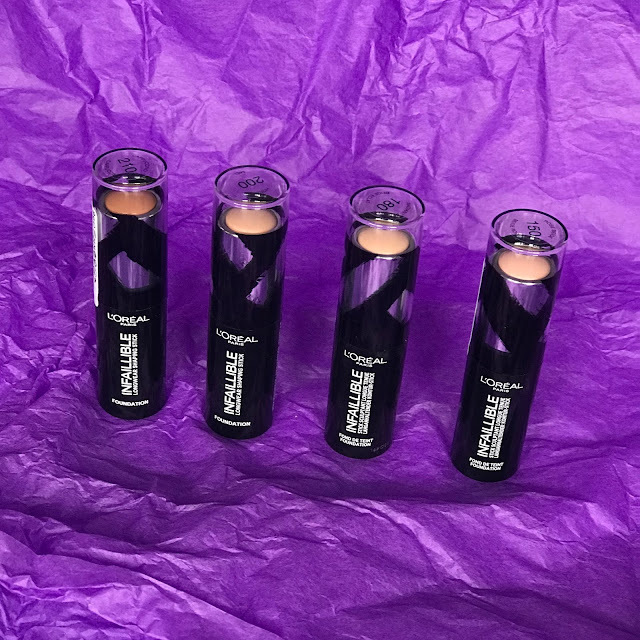 Next up we have the foundation shaping sticks. These can be used as a base but also to highlight and contour. I have to say that I am so impressed by the formula of these. 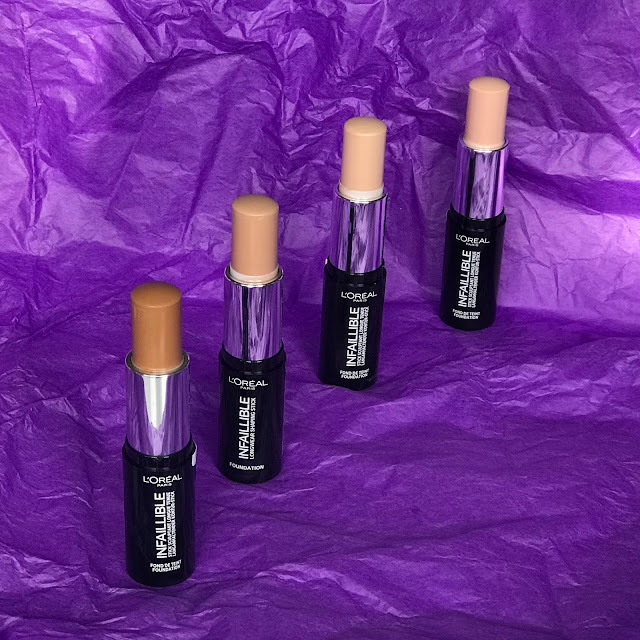 Somehow Loreal have managed to create a hydrating foundation that doesn't leave your skin looking greasy. When applied the finish that is given literally mimics the skin. It contains Jojoba Oil which adds to the luxurious texture, however as the skin absorbs the product it dries to a powder finish. The product can also be built up for fuller coverage. I have been trying it out all this week and I would say with a make-up fixing spray you can definitely get 8 hours wear out of this product. The one downside I would say is the shade range. Their are 12 shades which is reasonable, however the shades jump quite a lot so some people might have to combine shades to get their perfect match. 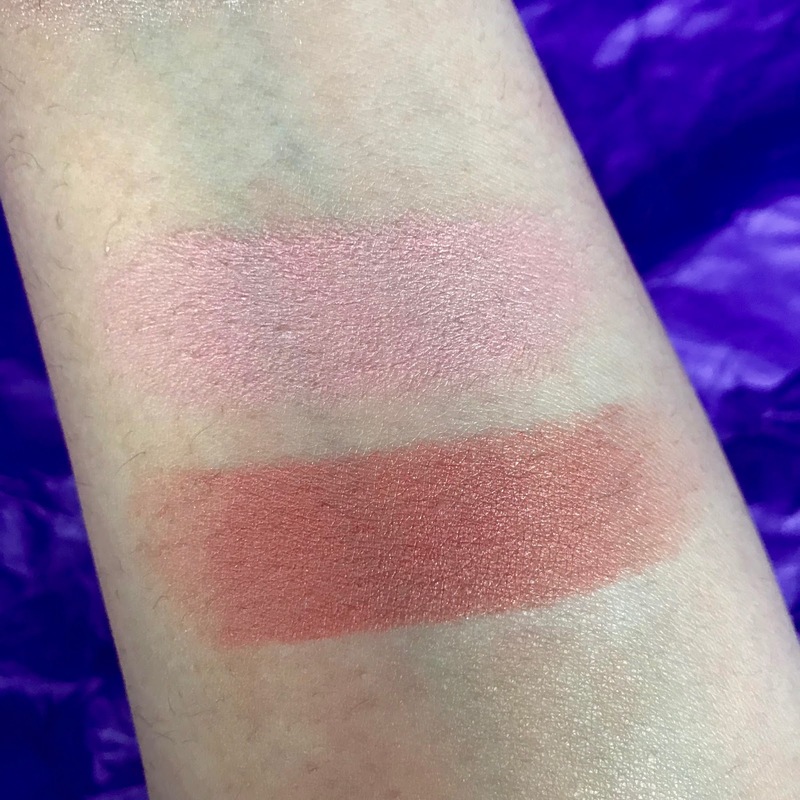 The blush and highlighter sticks are some of my favourite products from the range. Applied over the foundation they just blend in to the skin so well. The fact that you are using cream on cream makes application so effortless and I love the smooth airbrushed effect it gives. 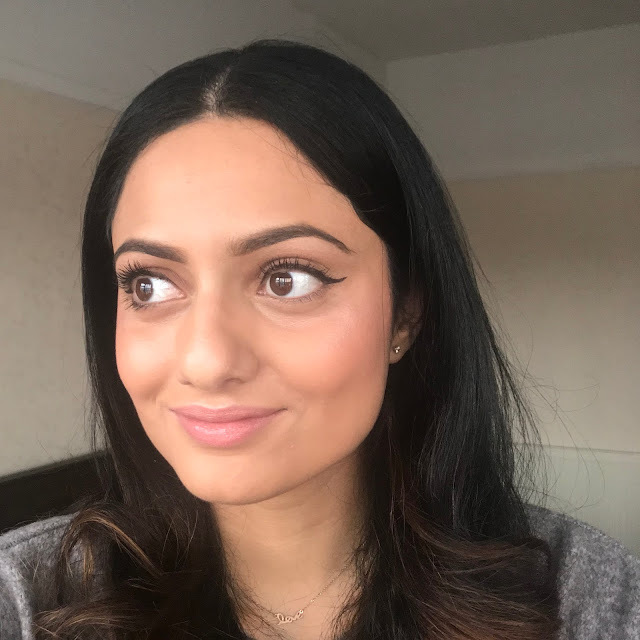 I am starting to use more cream products in my make-up routine as it gives the skin more dimension without being so obvious. 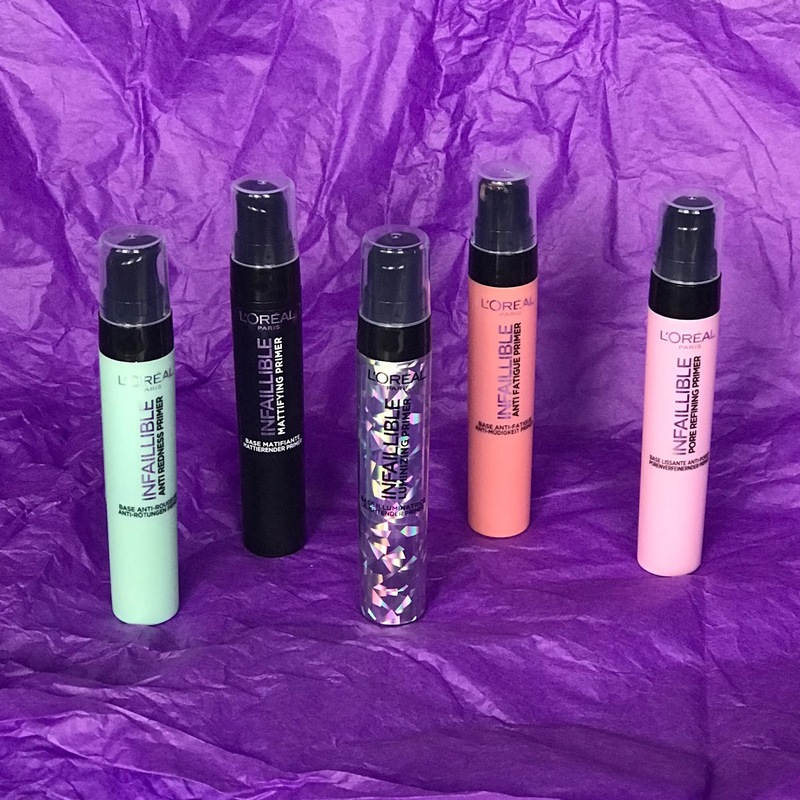 There are four colours in the highlighter range and they are all just as beautiful as the next. Here is the make-up applied to my face. The foundation (mix of 200 &180) literally gave an airbrushed finish, I applied directly onto my face and blended with a buffing brush. I used blusher in 002 and highlighter in 501 and blended in using my fingers. 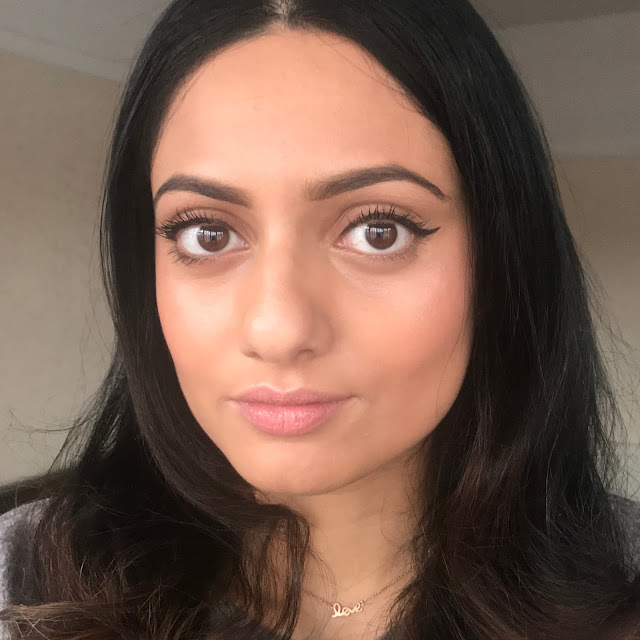 For a demo using the products head to my Instagram stories highlight labelled 'Loreal Review'. 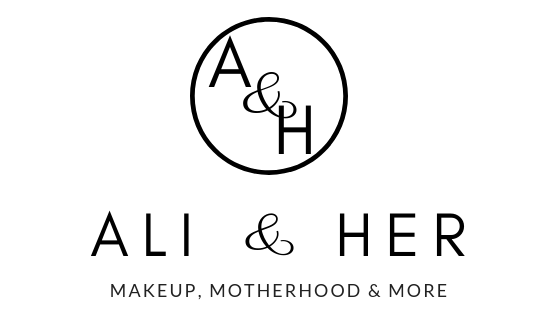 As the products are newly released there are currently quite a few offers on these products, one being 3 for 2 at Boots and Superdrug, which I would definitely take advantage of! I hope you enjoyed this introduction to the new Loreal Infallible releases! Will you be trying any? I love the look of the blush and highlighter sticks! And I definitely want to check out the primers too!